There are a number of ways to volunteer for the Office of Loyalty Giving. For more information on any of the volunteer roles below, please email Elyse Menger, director of constituent engagement, at e.menger@tcu.edu. Join us as a TCU Social Media Ambassador! Ambassadors help spread the message of the Loyalty Giving office online. 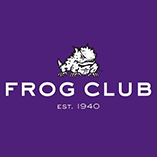 We try our best to keep in touch with all alumni, parents and friends of TCU, but in many cases they move and we lose their contact information. We are not always able to reach everyone we would like to; you can help us by posting and sharing messages on social media outlets such as Facebook and Twitter. Once you sign up, you will receive emails when new messages need to be shared. Just log back in and send the message out with just one click (and you can always edit the message, if you’d like, before you send it). It’s that easy! Ambassadors with the most link clicks win TCU prizes! For more information or to sign up to be an ambassador, head to ambassadors.tcu.edu. We are currently looking for volunteers in the class of 1968, 1969 and 1970. To learn more about getting involved in your 50th Reunion, please email Elyse Menger, director of constituent engagement, at e.menger@tcu.edu.